Other Glass Minnow Traps These are some glass minnow traps which remain to be identified as to the maker. Any help in identifying these traps would be greatly appreciated. Click on the small image to see the full size picture. 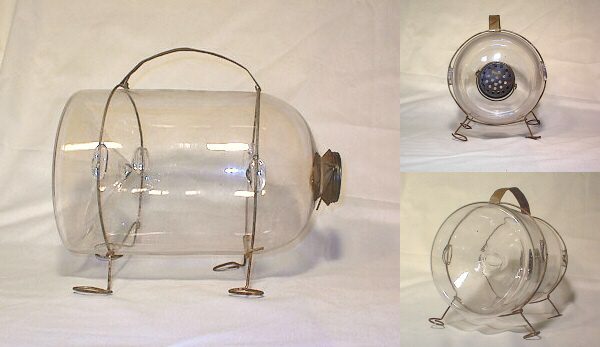 The French bottle traps - these have been depicted in catalogs from France, and seem to have been available since the late 19th century. Several sizes are shown here, from 10 1/2" to 13" tall. The "Square" trap - this is a rectangular trap about 14" long with no markings on it. 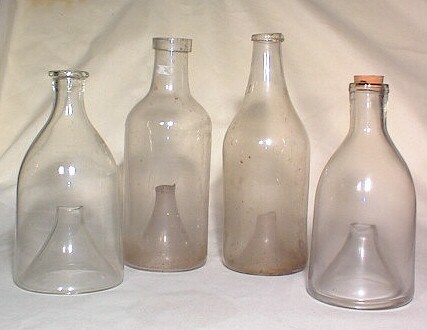 About 15 or 16 of these are known to exist, and are seen with three funnels as in this picture, or with one funnel in the bottom only. 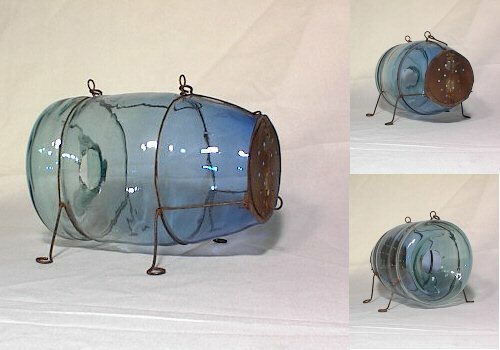 The "Made in Mexico" trap is made exactly like a Camp minnow trap, but is usually heavier and of better quality. The seams are less noticeable, and the only markings are the words "Made in Mexico - V/A". This next minnow trap appears to be hand made in some respects, but I'm not sure. 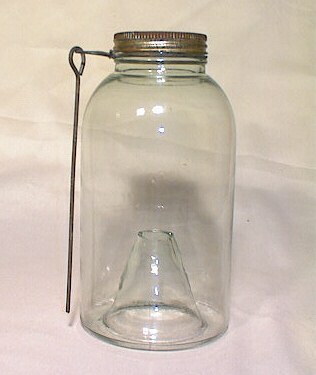 It is about 9" high, not including the handle, and about 12-1/2" long.The globs of glass on the sides hold the wire frame in place. 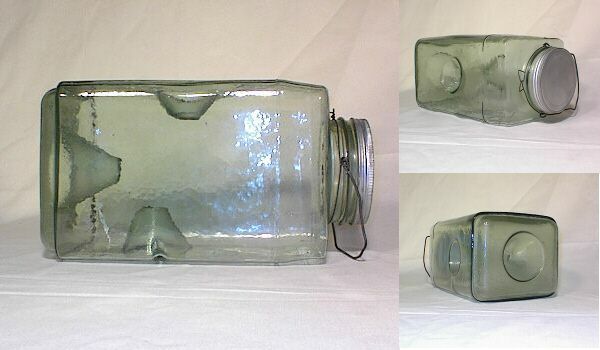 The lid is in two parts, a metal threaded piece formed onto the glass, and a lid which screws onto the metal piece. 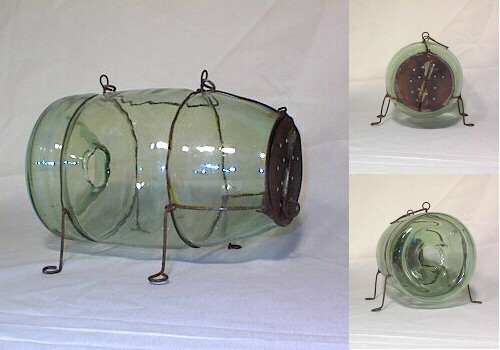 This minnow trap, a quart size trap with a metal spike attached to hold it in the stream bottom, may have been made by Ball Bros. but we're not sure. 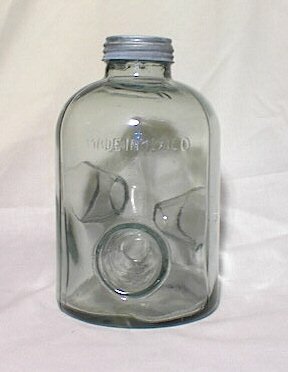 It has five holes punched in the lid for water flow.